Hello, all! 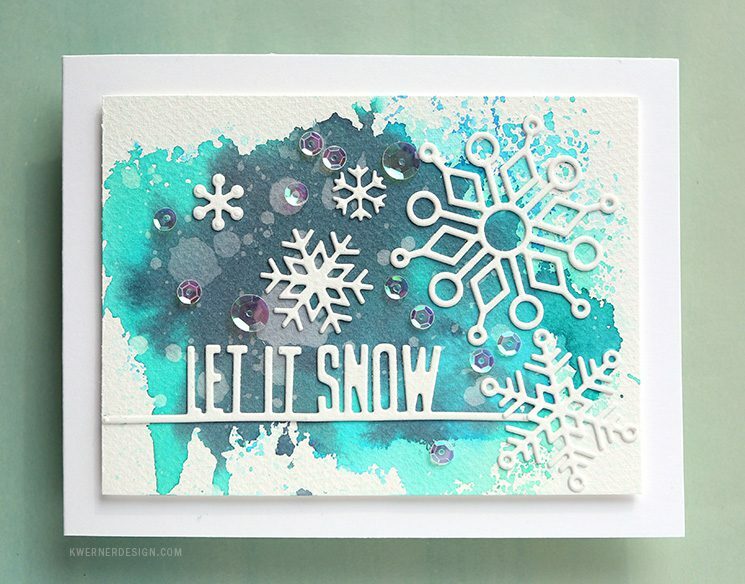 Today I have another snowflake-filled holiday card for you! And it’s Day 19 of the Holiday card Series, too. 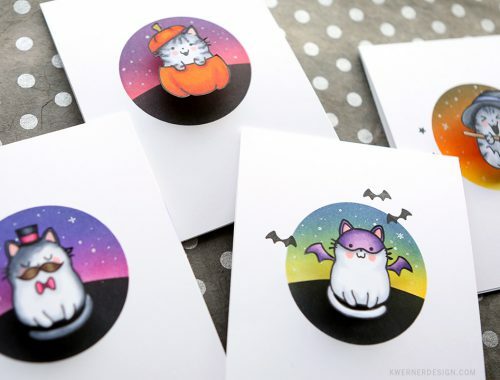 I’ve done cards like this in the past, but I wanted to create this one using the marker ink smooshing technique. I used Tombow Dual Brush markers for the ink color. I just love the teal and dark blue colors of this watercolor smooshing background. 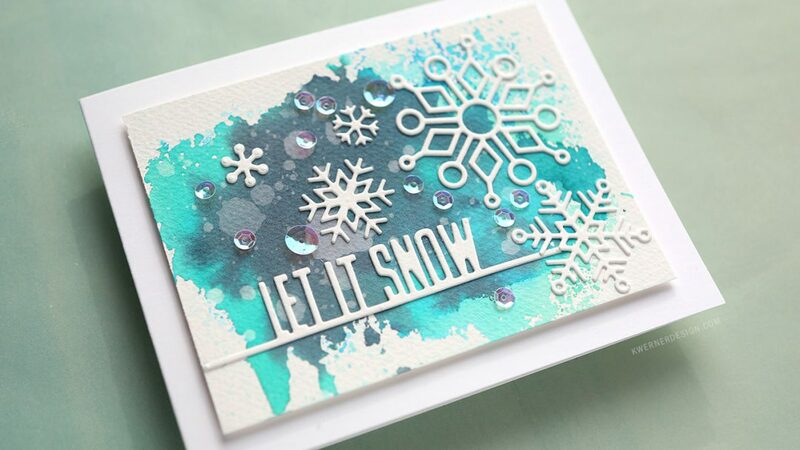 I think it goes really well with the snowflake die cuts! The snowflakes were diecut using the following dies: Simon Says Stamp Kinley Snowflake and Maryanne Snowflake dies, and Lawn Fawn Mini Snowflake dies. The greeting is the Let It Snow die from Paper Smooches. I hope you love today’s card! I think you could make it using many different colors, too!